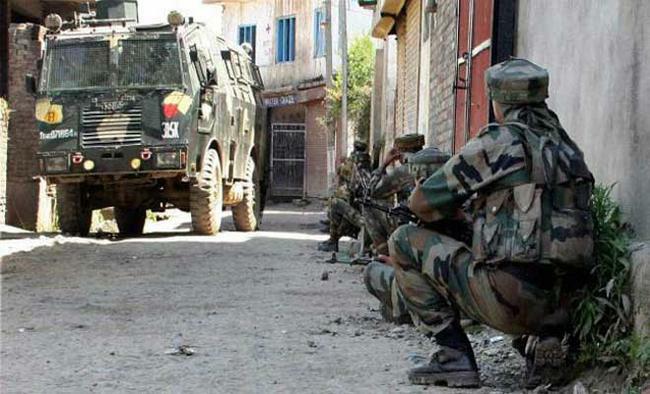 Srinagar: A top commander of Lashkar-e-Taiba (LeT) and Pakistani national Abu Bakar was killed by the security forces in north Kashmir's Baramulla district on Wednesday. Police said following specific information about the presence of LeT north Kashmir chief Abu Bakar in a house in Bomai area of Sopore, security forces launched a massive operation. "When the security forces closed in on the house where the LeT commander was hiding, they came under heavy gunfire, which was returned and the encounter started. "Abu Bakar was killed in this encounter," a senior police officer said here. "The security forces did not suffer any casualty in this operation. The house being used as a bunker by the hiding militant commander was damaged following heavy firing," he said. Security forces described the killing of the LeT commander as a major success in the fight against militancy in the Valley. Meanwhile, as a precautionary measure to prevent the spread of rumours, authorities have suspended mobile phone services in Sopore and some other parts of Baramulla district.